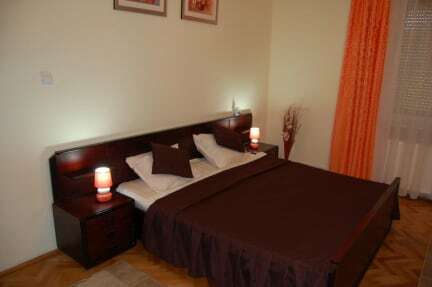 Budget Guest House v Brasov, Rumunsko: Zarezervujte nyní! We are proud to present you a good sized modern Romanian house, large natural lighted & clean bedrooms, fully fitted kitchens, nice bathrooms and garden with playground area. The property has internet access, TV cable, central heating, double glazing windows.